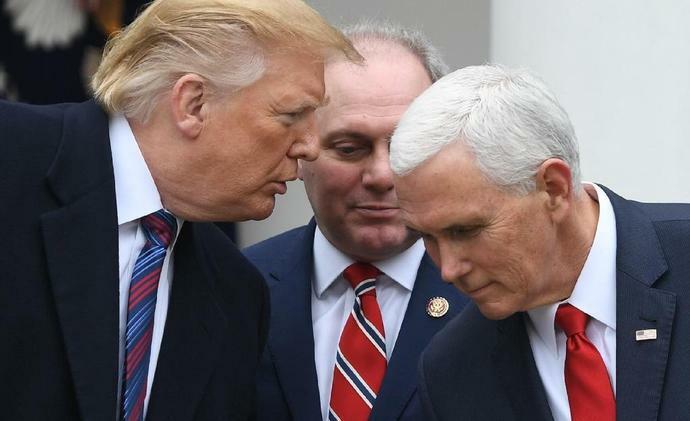 Washington (AFP) - Top Republican lawmakers on Sunday warned against Donald Trump declaring a national emergency to secure funds for a border wall, signaling doubts within the president's party as a government shutdown was set to enter a fourth workweek. Related Video: Could Trump Legally Declare National Emergency for Wall? "The damage done to our Country from a badly broken Border - Drugs, Crime and so much that is bad - is far greater than a Shutdown, which the Dems can easily fix as soon as they come back to Washington!" he said. Trump has tried various angles to pressure Democratic negotiators, but they have not visibly budged from an offer to support some border security spending -- the figure of $1.3 billion has been floated -- but not the $5.7 billion he wants for a wall. Meantime, a separate poll by CNN showed Trump's disapproval rating among Americans had climbed by five points -- to 57 percent -- in just a month, with just 37 percent approving. Many Republicans doubt that the invocation of a national emergency would help their cause -- likely influencing Trump's decision Friday to say he was holding off in order to give Democrats more time to strike a deal.